By taking the existing Mk.V airframe under production, installing the new Merlin 61/63 series (which added 100-200hp and an improved supercharger) which turned a four-bladed propeller, and adding such refinements as a gyro gunsight, additional fuel tanks and (later) the E-wing, the new Spitfire was able to regain its superiority in the skies over Europe. The Mk.IX was the second-most produced version of the Spitfire, with some 5600+ examples built. The most numerous version was the Mk.V. One of the more overlooked versions of the Supermarine Spitfire in 1/48 has been the Mark Nine series. While we've had previous offerings of the Mark IX by several companies in the past, none have quite captured the unique blending of the Spitfire Mk.V airframe with the Merlin 61 under the cowl. 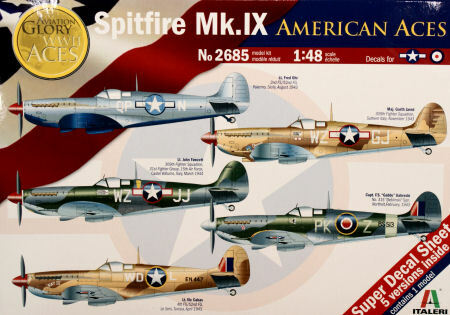 Italeri has re-released the Ocidental 1/48 Spitfire Mk.IX kit. This kit was the subject of much debate years ago as the first release had a serious nose profile problem, something the manufacturer quickly remedied in the second release. When I looked at aircraft outlines for dimensional accuracy, only two Spitfire Mk.IXs were very closely matched - this kit and the ICM 1/48 Spitfire Mk.IX. Surprisingly the Hasegawa and Tamiya kits were notably too short in fuselage length. In the end though, all of the kits build up into nice representations of the Spitfire IX. 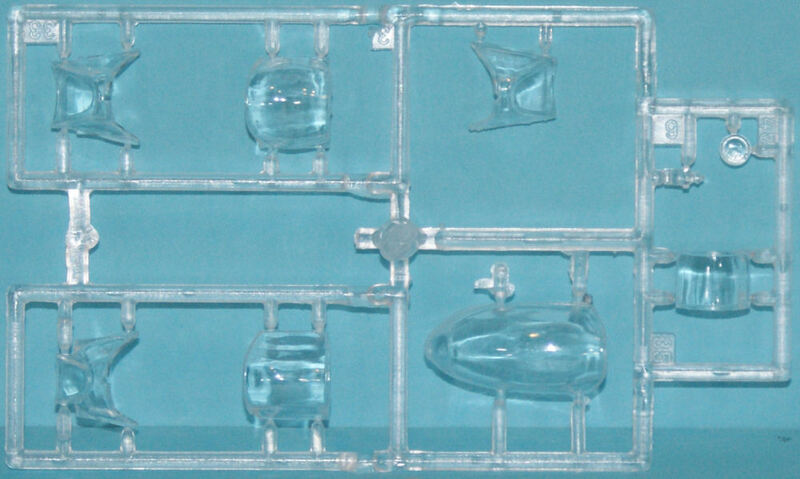 Molded in light grey plastic, the Mk.IX kit retains the parts to offer the appropriate bumps and bulges to represent the armament fit of the C-wing or the E-Wing. 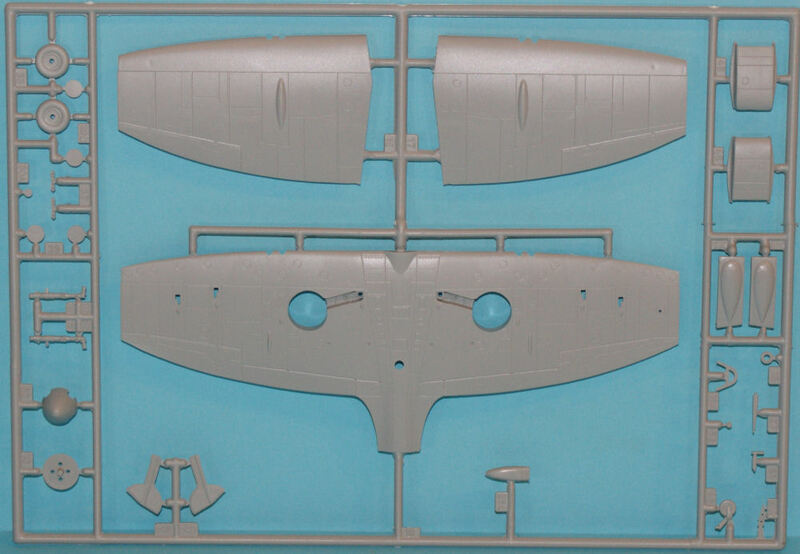 The kit includes the earlier Mk.V style of rudder, which corresponds appropriately to the early version of the Mk.IX that first came off of the Supermarine production line. Detailing in the kit scribed throughout, with no flash or ejector pin marks located in any visible portions of the model. The fuselage and wing halves fit together nicely, indicating little or no need of any fillers during construction. In fact, the only filler that I anticipate in construction of this kit is in the same place that many other kits face ­ the wing-to-fuselage joint. With the cockpit installed, and with perhaps a little shimming from inside the fuselage, the upper wing-fuselage joint should be fine. As before the detailing in the cockpit is Spartan, and the age of the molds is starting to show with some signs of flash on the gun barrels and some other round parts. Some of the previous Italeri releases this year have cited a Super Decal Sheet in the box. While I haven't been too impressed with how 'super' the sheets in previous releases have been, this one is not bad at all. 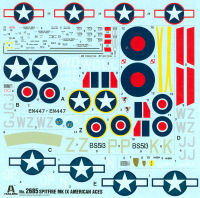 The sheet has a nice set of maintenance stencils and markings for five USAAF aces. Yes, those are RAF markings on the sheet, but one of the aces highlighted was not yet an ace at the time - that particular subject is none other than Capt 'Gabby' Gabreski while he flew with the RAF as part of 315 Sqn (Polish) and learned from that experience before moving over to the 56th Fighter Group and eventually commanding the 61st Fighter Squadron and its famous P-47 Thunderbolts. The instructions provide four view profiles to illustrate the camouflage patterns applied to each of these aircraft. 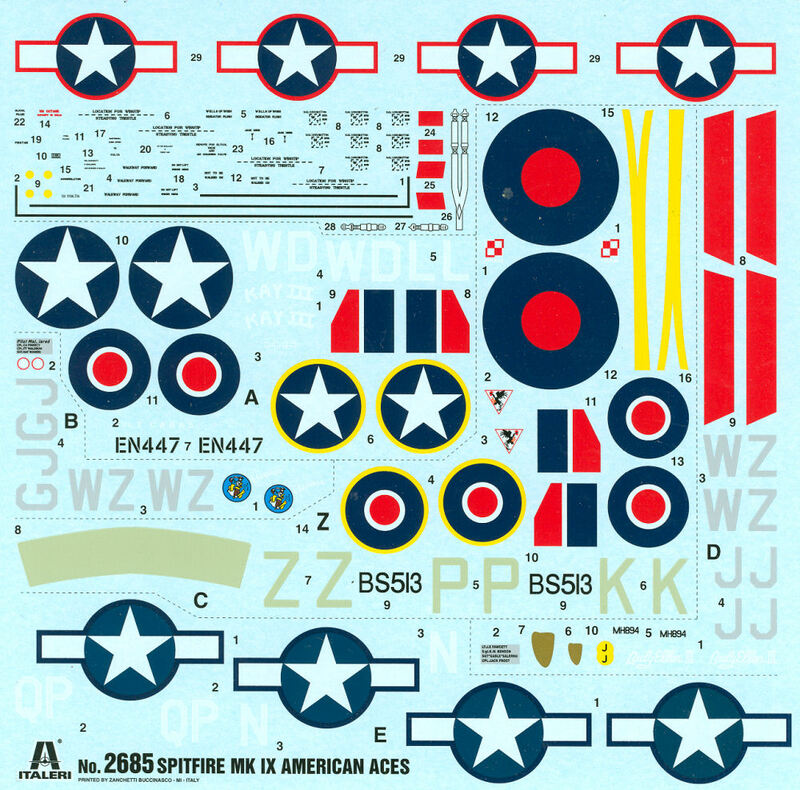 This is a simple kit of the Spitfire that builds into a nice model, and with the variety of aftermarket details available for the 1/48th Spitfire, the AMS modeler can really have some fun.